It is obviously a bais news and the same tone with the Burmese regieme. As a Shan, I can asure taht Shan people never thought any ethinc groups or Pa-Oh in Shan State as an enemy. In contrast, Pa-Oh always think that Shan are their enemy. 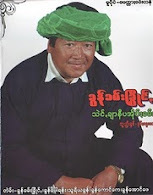 Throughout history, I found that Pa-Oh give more cooperation with Burman than any other ethnic groups in Shan State. Whenever Shan army enter Southern Shan State, Pa-Oh army are ready to inform or join force with Burmese and fight the Shan. Moreover, I often hear that in Pa-Oh region as Hopong, Sisai, Panglaung etc, Shan villiagers are forbidden to learn Shan letter by Pa-Oh army. Shan are forced to wear Pa-Oh customes and so on. Like in Katku pagodas, donor names written with Shan letters are destroied by Pa-Oh just to claim the pogodas belong to you. These are a few examples I've heard which are done by Pa-Oh. Through media, I found that Pa-Oh regard Shan as your enemy. You creat enemy yourselves, don't blame others. In Shan State, Shan live peacefully with Wa, Kokang, Palaung, Akha, Muso, Kachin etc and why conflicts between Shan and Pa-Oh happen only in Pa-Oh area? I am not sure whether Shan can't live peacefully with Pa-Oh or Pa-Oh itself can't live peacefully with Shan and other ethnics? Finally, as a Shan State resident, I want to express frankly, never mind if you Pa-Oh want to be enemy with Shan. Its your choice to live with Shan or Burmese.